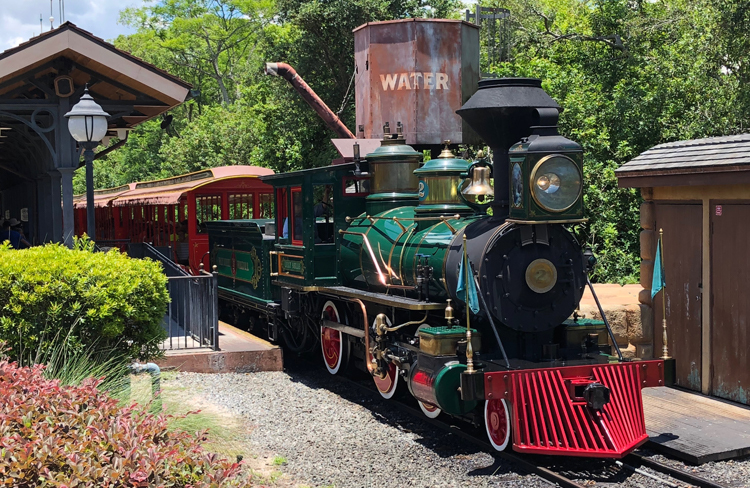 Take a ride back in time on one of Walt Disney World's Steam Powered Engines. The train is now parked at the Main Street Station (and not running) due to the construction on the TRON Lightcycle Power Run Rollercoaster. Guests will be able to see the train up close and pose for photos. There has been no date announced as to when the train will begin running again, but the TRON coaster is set to open in 2021. 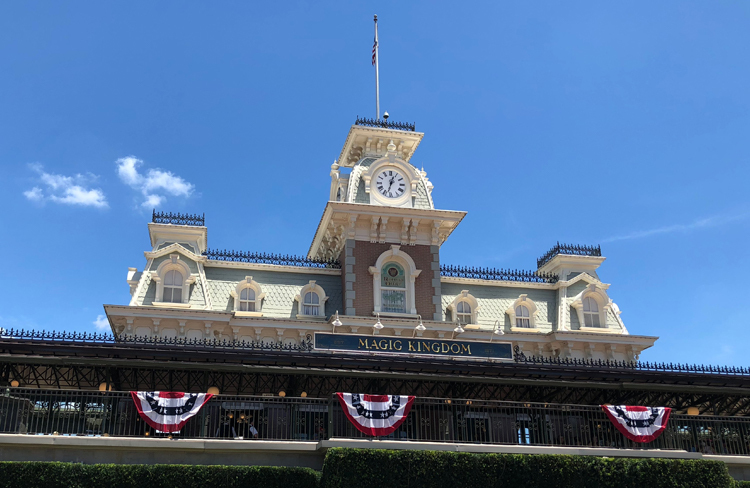 You can't miss the Main Street Train Station as you enter the Magic Kingdom. This scenic stop is the first spot where you'll hear "all aboard" before the train sets out along the rails. 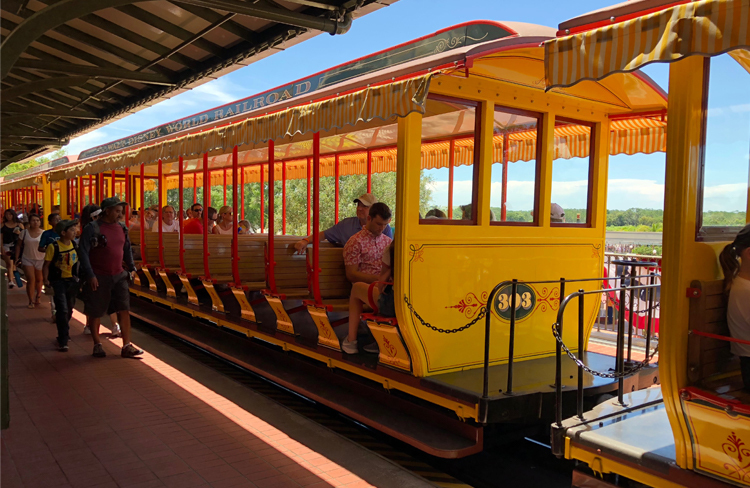 There are four trains that make up the Walt Disney World Railroad, and all were originally built between 1916 and 1928. The locomotives were bought by The Walt Disney Company in 1969 from the Ferrocarriles Unidos de Yucatán, a railroad located in the state of Yucatán in Mexico. After Disney acquired them, each one was restored and named after a different Disney legend. If you really enjoyed your ride on the Walt Disney World Railroad, you may be interested in the tour "Behind the Magic of our Steam Trains." 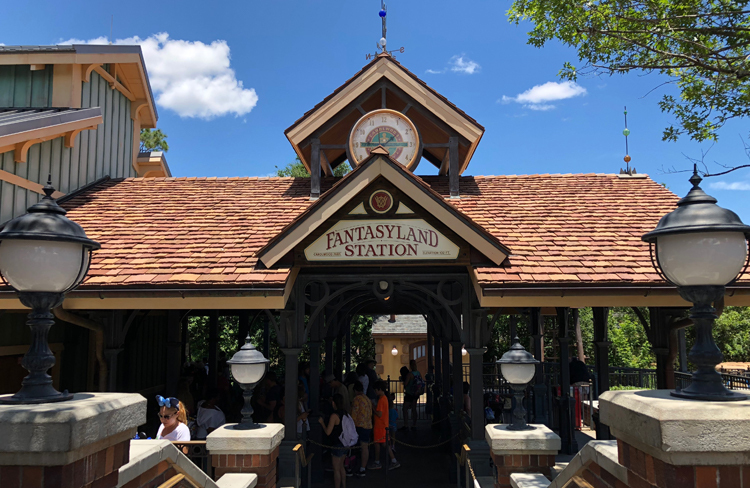 You'll join the opening crew as they prepare the Magic Kingdom's steam trains for their daily operation and visit the backstage roundhouse where these treasured transports are maintained and stored. Handicapped Accessibility: ECV users will have to transfer to a regular wheelchair for this ride. Handheld captioning devices may be used on this attraction.